Looking for the ultimate hook up to VIP style nightlife in LA? Partybus Nightclub is your inside source for everything nightlife in LA related; including VIP packages for the hottest clubs and biggest special events. We specialize in VIP birthday and VIP bachelorette parties. Our services include exclusive Hollywood nightclub deals, express entry and bottle service at the best night clubs and LA nightlife destinations. Our Nightlife Hospitality Concierge provides you with a one stop shop for all your Hollywood nightlife LA clubbing entertainment needs. 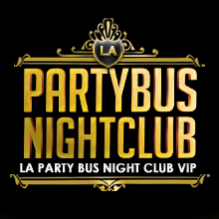 Partybusnightclub.com offers nightlife hospitality concierge services second to none; boasting unrivaled clubbing connections at the best clubs in LA. Our VIP nightlife hospitality network of party professionals will make the impossible possible, providing an exceptionally high level of service and personalized attention to our clients and guests. We understand how important your time is. If you decide to work with us, we will certainly do whatever we can to ensure your any-occasion vacation is action-packed while being simultaneously stress-free and relaxing. Furthermore we appreciate our clientele and treat them as such. Your VIP host is always professional so you get the ultimate LA VIP night clubbing experience minus the attitude; top quality VIP host services coupled with top-ranked nightlife in LA! Our team of highly experienced event managers will plan your event to perfection and always go the extra mile to make sure your event is a huge success. Ensuring you achieve your business objectives and a quantifiable return on your investment from our Event Management service is key to the way we work. Through our Event Production service we work with your brand to create an event experience that delivers against every one of your objectives. We know that the devil is in the detail so we work to ensure all creative elements are deliverable, that your objectives are achieved and that the event partnership is an enjoyable and productive one. A great event is a combination of inspiration and perspiration. A strong overall concept is essential. But without the attention to detail needed to ensure that every single element is delivered effectively, even the best idea can fall short. We understand the big picture. And through our Event Management service we ensure that the concept is right and that the 1001 details needed to make your event a success are in place. Bottle service has always been considered a luxury, even in upscale clubs and bars. The demand for VIP hospitality has grown in the past few years, and Los Angeles is no exception. It can be difficult to get a prime table in the hottest clubs. That’s where we come in! Our exemplary relationships with top-notch nightlife party professionals and decision-makers enable us to provide complete VIP access to current LA top clubs. We handle your entire party night out with unrivaled, all-inclusive VIP treatment and club packages that include no waiting in line and premium VIP table bookings. You will be treated with the utmost importance and respect. Let us grace your way into the VIP. PartybusNightclub.com will assist you with all your party night out event planning needs, such as general information, making reservations, giving directions and recommendations, etc. Our nightlife hospitality services are designed specifically around client needs to maximize ‘YOUR VIP’ clubbing LA experience. Are you looking to plan a bachelorette party? You’re the bride-to-be; that means you get your perfect wedding-plus, of course, the best bachelorette party ever! Hollywood (Los Angeles) is fast becoming the go-to place for wild bachelorette nightlife. Watch as the most amazing ‘final fling before the ring’ slash ‘Girls Night Out’ party nights of your life unfolds. So gather your girls for a bachelorette Hollywood night clubbing weekend with LA VIP nightlife hospitality. Give us a call +1 (310) 749-9029 to plan your bachelorette Hollywood VIP party night out. Take advantage of personalized nightlife hospitality! Experience the best of birthday club packages with exclusive bottle service deals and discounts. No party is too small nor too big. Birthday club party packages are available for groups of 10 to 100+ people. © 2018 PARTYBUSNIGHTCLUB.COM. All Rights Reserved. Unauthorized use and/or duplication of this material without express and written permission from this blog’s author/owner is strictly prohibited.